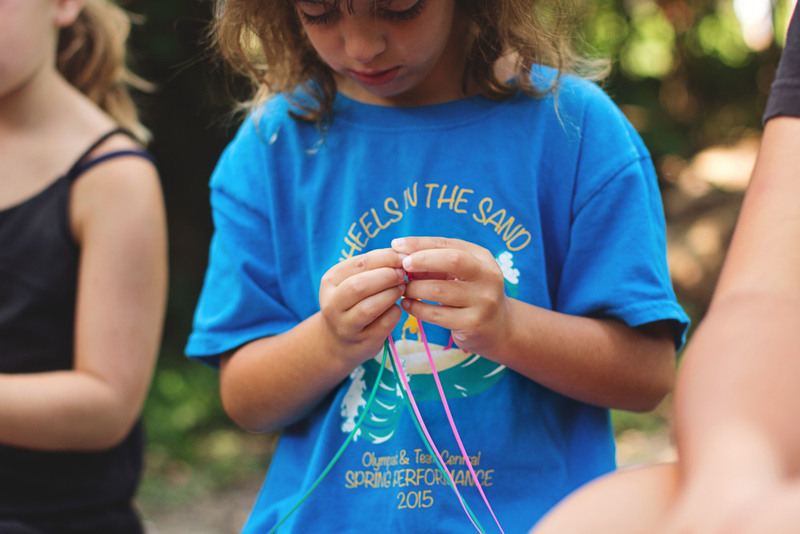 A magical summer awaits at Camp Pegnita! 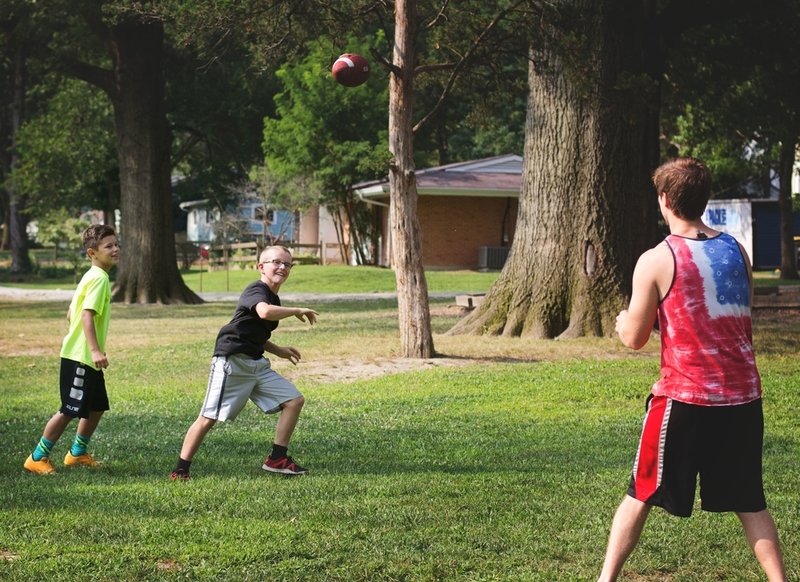 We are an old-fashioned day-camp where campers fill their summer days with archery, arts and crafts and classic outdoor sports and games like Volleyball and Capture the Flag. 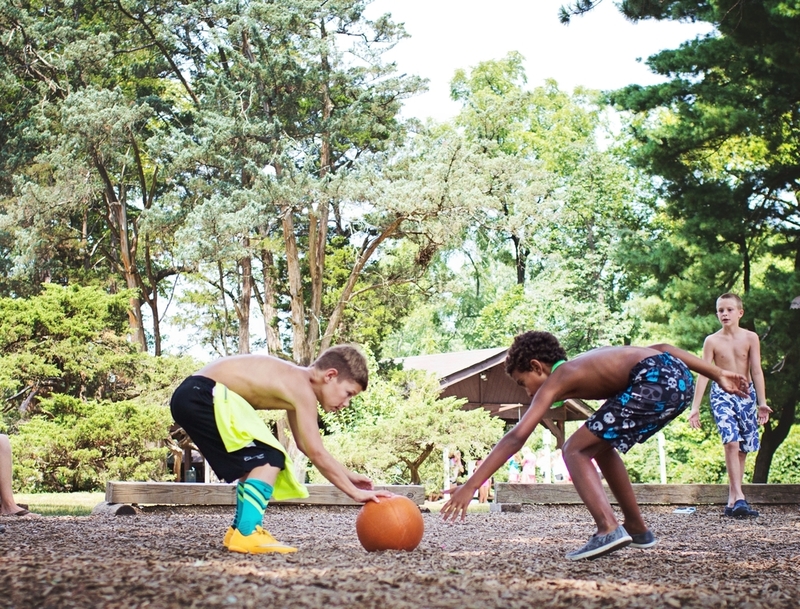 Campers swim daily in our on-site outdoor pool and are given the time to explore our gorgeous six acres of land. They've even been known to build a fort or two! Campers are divided into groups, based on age and gender, with counselors assigned to each group. Our staff undergoes rigorous training to ensure that every one here has a safe and fun summer with a new adventure every day! Click here to see a sample schedule. For pictures and a full description of our activities, please continue to scroll down. 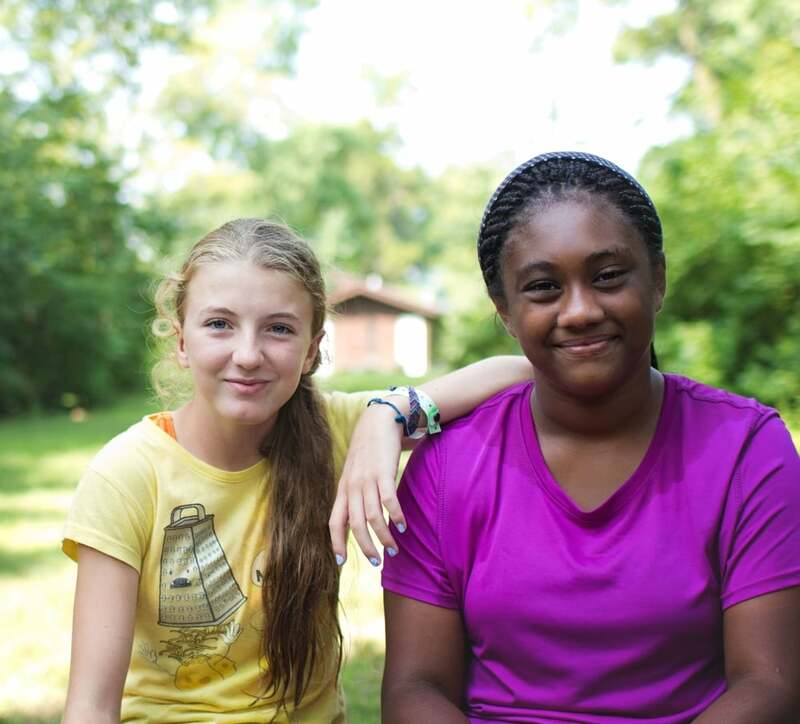 Young adults entering 8th, 9th and 10th grade ages 13-15 have the opportunity to learn the ropes of being a counselor at Camp Pegnita while making new friends, gaining leadership skills, enjoying our beautiful campus, and having lots of fun along the way! Throughout our three-week program, CITs will gain experience working with each of our different age groups, alongside trained counselors and lifeguards. They will spend time "in the field," observing, and later planning and leading activities for the campers. The CIT group will also work together to plan and implement one big camp-wide activity! CITs who show strong leadership skills during their three-week enrollment, will be invited to return for a free week of their choice later in the summer. Children ages 3 and 4, who are enrolled in the subsequent fall at Villa di Maria Montessori school, are eligible to attend our summer Montessori program. Montessori students will attend class from 8:30-11:30, and will have the option of staying through lunch or for the full day. Children who stay till 1:00 will have the opportunity to take a dip in the pool, and those who stay till 3:30 can either nap or have a mini-camp experience. Swimming: Twice daily, campers will swim in our on-site pool. Safety is our number one priority so, in addition to the campers’ regular counselors, we always have at least two certified lifeguards supervising the pool at all times. During the morning hours, all campers will participate in swimming lessons led by our lifeguards. The lifeguards will assess each camper to determine his/her swim level. Campers will then be put into groups based on their swimming abilities. Our lifeguards can teach swimmers at any level so even if this is a camper’s very first swim lesson, our lifeguards are prepared to make every camper feel very comfortable in the water. 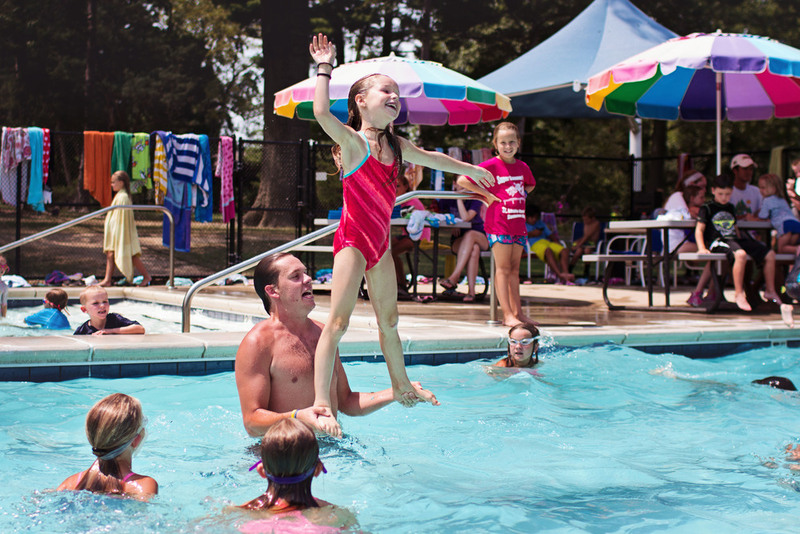 In the afternoons, campers have the opportunity to play freely in the pool. Our pool is divided into two sections, a shallow section ranging from 1.5' to 2.5' and a deeper section ranging from 2.5' to 6'. For safety purposes, all children must pass the deep-water test to swim in the deeper section of the pool. Arts and Crafts: Campers will have the opportunity to participate in Arts and Crafts 2-3 times each week. Our fabulous art instructor prepares tons of fun, creative, and messy crafts. Each summer, campers can look forward to tie-dying shirts, making candles, building bird houses, and creating other amazing projects based on our weekly theme or event. Your child will come home with plenty of hand-crafted items to decorate your house. Special Events: In addition to our regular activities, each week we have a special theme or event that we incorporate into the schedule. Whether it’s building boats during our pirate week, hula dancing during our luau, sliding on our giant 50 foot slip-n-slide, cheering for your team at the field day relay, or getting chocolate syrup and whipped cream poured on your head during Bonzai, our events are always fun and a little bit crazy! For more information about our themes and a schedule of our events please visit our Special Events page.